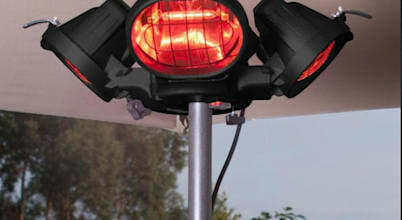 Outdoor and patio heaters take the chill out of your winter stargazing entertainment. The extravagant Coral Coast Mocha & Stainless Steel Commercial Patio Heater brings outdoor heating fashion the a higher level. This is the most powerful and stylish patio heater around, with an output of an amazing 46,000 BTUs.